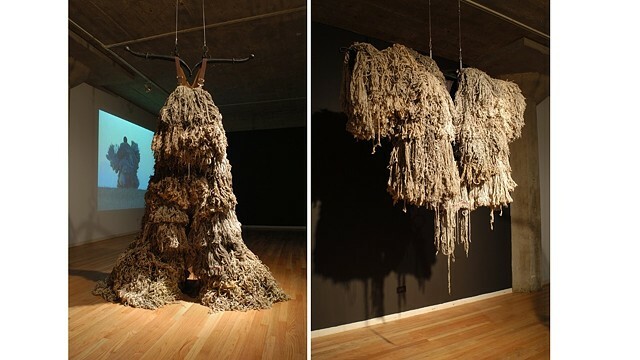 This installation is comprised of two large garments made out of soiled mops. A pair of mop overalls and a mop coat hang from the ceiling. Next to these forms is a large scale video projection of a human figure wearing the garments engaged in somewhat comical and somewhat desperate ritualistic attempts to communicate with the landscape, struggling to reconcile memories of a space and come to terms with the passage of time.